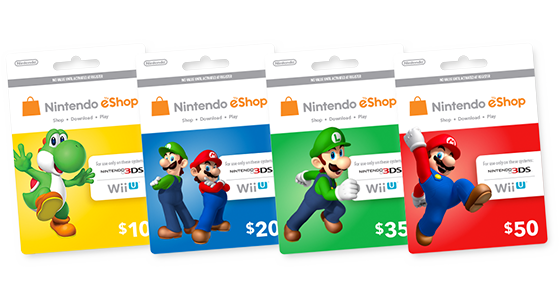 Step-by-step instructions on how to add funds using a Nintendo eShop Card. Enter the 16-character activation code, then select "OK" to complete the transaction. Please note, the letters o, i, and z are not used. Step by step instructions on how to redeem a Nintendo eShop download code online. On Nintendo 3DS, download codes for in-game DLC and Themes cannot be redeemed online. In-game DLC must be redeemed within the specific Nintendo 3DS game. Theme download codes must be redeemed in the Theme Shop on Nintendo 3DS. When prompted, sign in with the Nintendo Network ID you wish to use when redeeming the download code. Enter your 16-digit download code and then select, "Next"
Confirm that you are redeeming the code for the correct software title and confirm that you are using the correct Nintendo Network ID. Once this is done, select "Redeem." Selecting "Cancel" at this time will end the process, and allow the download code to remain unredeemed. Once successful, you will receive a message stating your download code has been redeemed. A confirmation e-mail will also be sent to the e-mail address registered to your Nintendo Network ID.